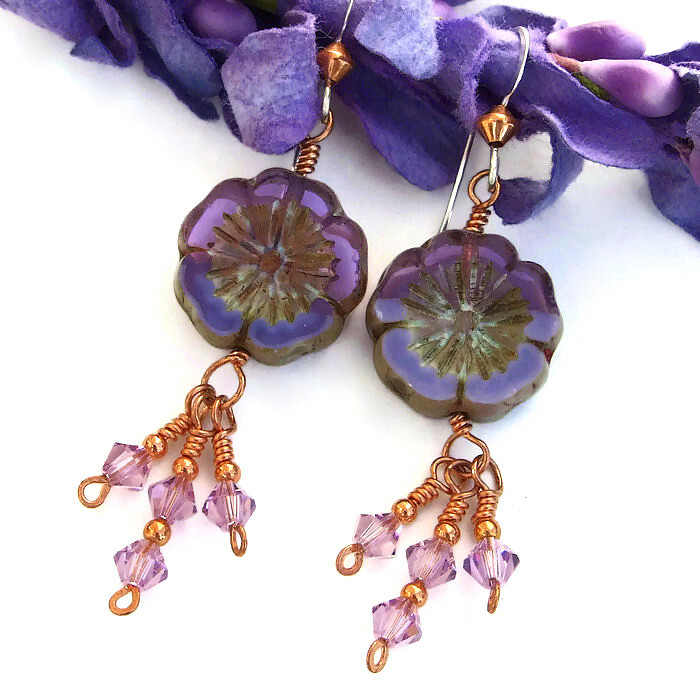 If you love to wear purple jewelry, you will love the WISTERIA handmade earrings, perfect for spring and summer! 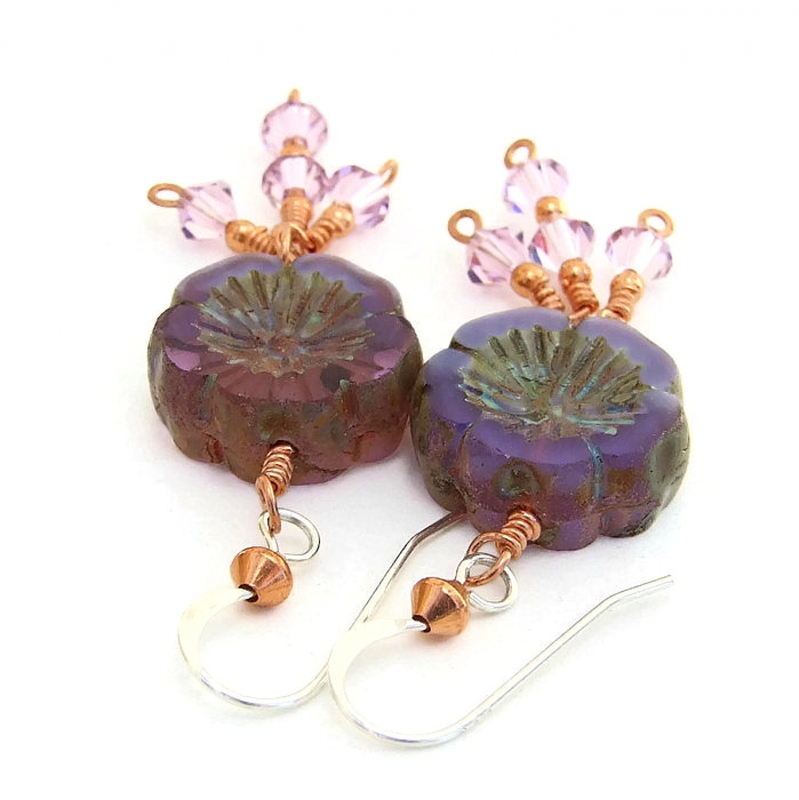 The beautiful dangle earrings feature Czech glass pansy beads in varying shades of medium to light purple and lavenders. They have a lovely Picasso finish to bring out the exquisite detail of the flowers. 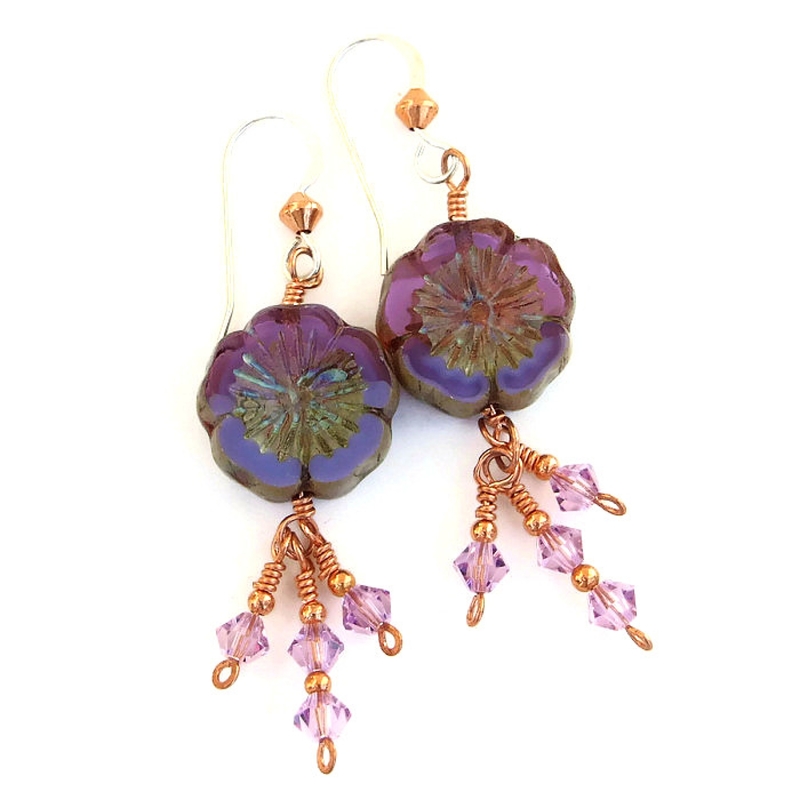 When backlit, the top half of the pansies are translucent, adding an unexpected glow to the earrings design. To add a huge amount of sparkle, four “light amethyst” Swarovski crystals were grouped to dangle below the pansy beads - just imagine how these earrings will glitter and flash when you wear them! 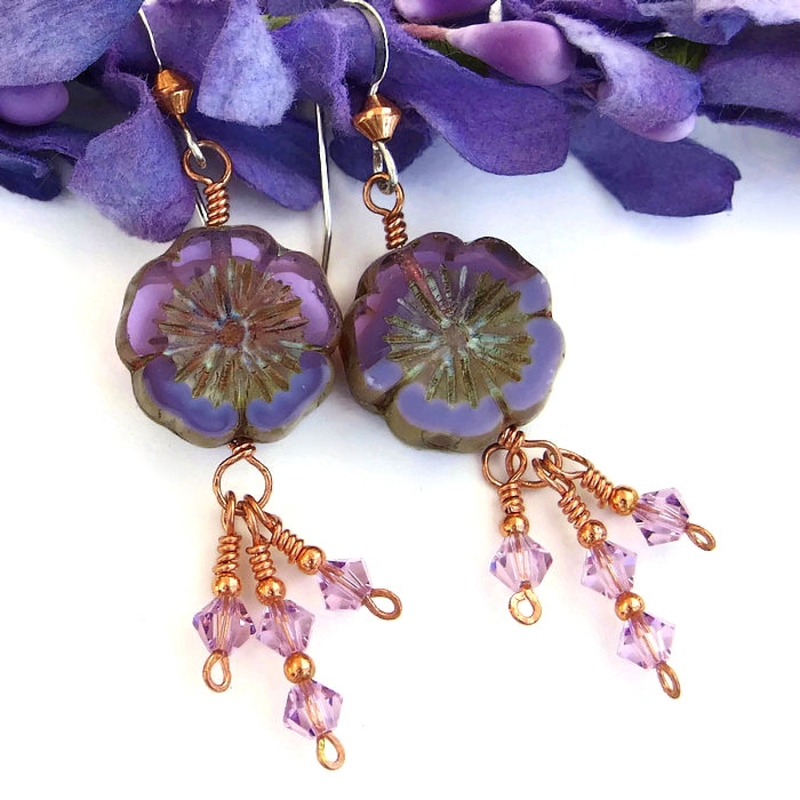 Named after the gorgeous purples of the wisteria vine, the WISTERIA flower earrings were carefully designed and handmade by Catherine of Shadow Dog Designs for the woman who enjoys wearing one of a kind jewelry. 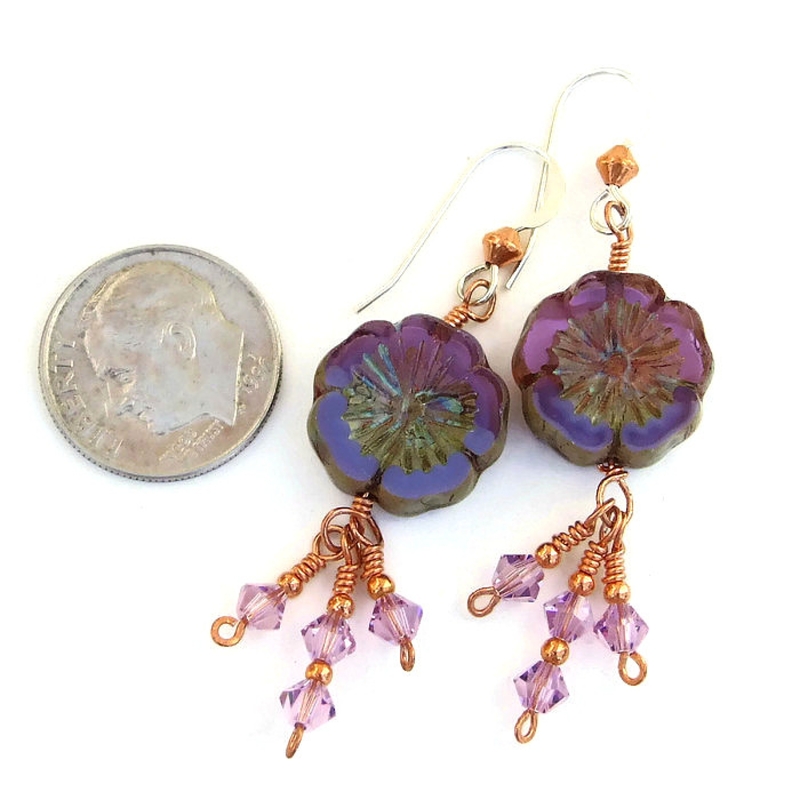 For a better understanding of the relative size of the WISTERIA handmade flower earrings, please be sure to check out photo #5 for a size comparison with a dime. Through the centuries, flowers have been a symbol of spiritual awakening; also they have been symbols of generosity and love when they are given away. Even though man made, glass and crystal carry the energies of transformation, rebirth and communication. Copper is said to allow the wearer to recognize barriers in the path of personal development. Silver is a metal of love and healing; it is a mirror to the soul, helping us to see ourselves as others see us. 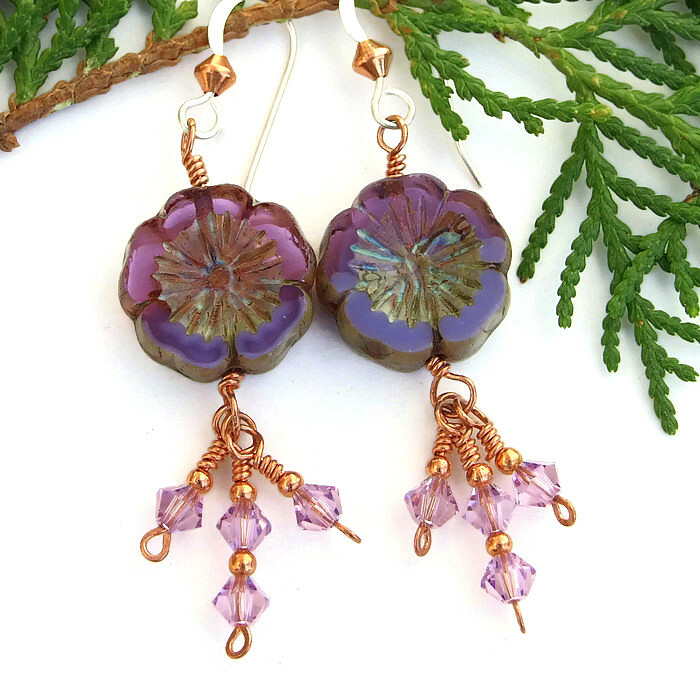 The WISTERIA handmade earrings will be carefully packed in an organza jewelry bag with tissue, perfect for gift giving to a loved one . . . or to yourself!